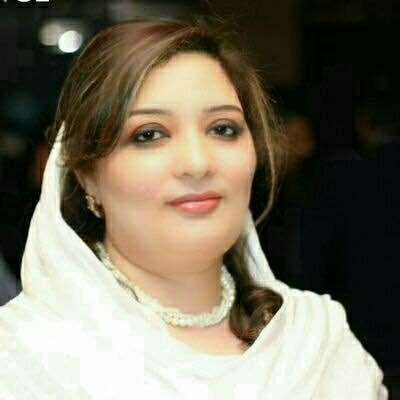 Born on 18 July 1976 in Gujranwala, Romina Khurshid Alam was elected as a Member of National Assembly in 2013 elections on reserved seat of women from the platform of the ruling Pakistan Muslim League-Nawaz (PML-N). Romina is a passionate activist and a visionary politician who, without a political background, fought all odds and earned her way to where she stands today. She went on her own to the EU parliament and introduced Pakistan’s true image to the European parliamentarians. She also visited the British parliament and raised the human issue of Indian Occupied Kashmir by arranging briefings for the MPs on situation in IOK. She has also worked on deradicalisation for the youth and has also introduced two bills for legislation in this regard. She has been teaching in two of the well reputed institutes of Islamabad. She has served as an honorary ambassador of Baitul Maal’s Women Vocational Training Centre. Her political journey includes serving as a general secretary youth women wing of PML-N. She also served as chief coordinator prime minister youth program; laptop scheme and fee reimbursement program. Currently, Romina is a member of many organisations like federal think tank of climate change, nursing council; national institute of health and women caucus. She is also working closely with sustainable development policy institute (SDPI). Romina has also worked a lot on tax reforms for textiles industry and has invited some taxation experts to help bring in some legislation in this regard. Q: What conclusion can really be drawn from this unfortunate Dawn Leaks saga? Did the last leg of the drama really make a difference? Civil-mil angle may have been amicably handled, but has the actual leak been identified? Romina Alam Khan: I think we should wholeheartedly appreciate the way the matter has been settled by the civilian and military leadership. This reflects that Pakistan’s institutions not only are growingly mature now, but also how they have galvanised, rising above all sorts of biases just to uphold the national cause. It’s an accomplishment by all means that the state institutions are playing their due role for betterment of the country. National security can never be compromised and I expect solution of every issue through due process. Q: Why are successive governments always reluctant to make reports, commissions, findings, etc, public when, more often than not, they are of vital national importance? Doesn’t every citizen in a democratic setup have the right to such information? RAK: The Article 19 and 19-A provide for the freedom of speech and right to information respectively. However, the Articles also provide that some regulations have to be made for the integrity, security or defence of Pakistan, friendly relations with other states. Q: Now that such issues are behind us, do you think the government, opposition and media will turn their attention to the worsening human rights situation across the country? Or do you feel they will continue playing politics as usual, especially with the next general election just round the corner? RAK: Freedom is a gift of democracy. Criticism should be taken as a motivational force. Democracy is being strengthened and institutions are being empowered. The government as well the opposition both have a key role to play in resolution of national issues. Politics should be the way forward for improving lives of the people at large. But the anarchistic political course adopted by individuals is regrettable and worrying. One must not play with the country’s fate in the name of change. Q: Why has our democracy come to revolve around politics of agitation and confrontation? There’s little in speeches of government or opposition politicians except badmouthing the other. What keeps us from being more progressive? RAK: Our democracy has grown enough. The second democratic government is going to complete its tenure. However, the worrying factor is anarchistic politics. No one has the right to name and blame each and every state institution for petty political advantages. We need to unite against this attitude. Q: How do you see the Pak-India equation playing out in the medium term? Do you feel the Modi government’s anti-Pakistan stance has given it traction inside India? Or is India too diverse a polity to accommodate such aggressive posturing for too long and sooner or later things will return to the old status quo? RAK: Unfortunately, the rise of the ideologies of Hindutva in India has not only destabilised India itself, it has also the capacity to damage the peaceful environment in the entire region. Religious extremists have sidelined the secular forces in India which is a huge concern for the entire world now. Extremism is fast overtaking reasoning in India. It is only India where such an extremist can become head of the government. Following the success of the Hindutva followers in India, majority in India is now following suite which is tragic. The world must get cognizance of the situation the way minorities are being persecuted and being pushed against the wall in India. Q: Indian aggression in Occupied Kashmir has reached unprecedented limits. Yet the international community did not seem bothered enough to intervene in any meaningful way. Pakistan has taken this issue all the way to the UN. What more can/should Islamabad do? RAK: The situation in the Indian Occupied Kashmir is alarming by all means. The brave Kashmiri people are writing a new history of courage and struggle for freedom with their blood. The use of brute state terrorism against children, male and female students has actually exposed the true expansionist agenda of Indian regime. 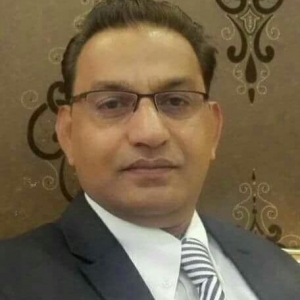 Islamabad would keep raising the issue of rights of Kashmiri people in the UN and all other world forums regardless of the price we have to pay. Q: When everybody in the region realises that a thaw between Pakistan and Afghanistan is necessary for regional peace, why can’t the two governments still see eye to eye on the most important issues? What will it take, really, for Islamabad and Kabul to really come on the same page with the genuine desire to wrap up this war once and for all? RAK: Pakistan and Afghanistan are twin brothers and no one can keep them at each other’s throat by hatching conspiracies. Yes, there are misunderstandings and misgivings. But like a big brother, Pakistan would resolve all its issues amicably without use of force and dialogue must always be the way forward. We understand Kabul does not enjoy freedom in taking decisions yet. We know Kabul is being used for proxy wars and the role of some other neighbouring states cannot be denied in this regard. However, Afghanistan must realise that how positively Pakistan played a role for them, especially by accommodating millions of Afghan refugees. Romana which country are you talking about? I have been watching Pakistan since 1947, but It always ruled by the Military and the Maddrassa Mullah. The democratic Prime Ministers like ZAB, BB, Sharif, Zardari are all Feudal puppets of the Military. Their budget and foreign policies are in the hands of Military who pay off Mullah to take ordinary poors in wrong Path. May be One day Malala, not a Feudal, will take over Pakistan and the keep Military and Mullah under her control. Husain Huquani will help bring the real democracy. Till then, nothing much to do.